The first core value of the Love Your Guts Seminars is that accurate and skillful palpation skills precede effective treatment. We feel that to be most effective you must be able to differentiate layers of tissue from the skin to the spine. Another core value of these trainings is that we work with the structural body and the energetic / emotional body at the same time. There is no way to tease these two things apart. Working with energy is another palpation skill that is discussed, practiced and experienced in class. The last core value is that we teach our clients about their own bodies. This means that we talk about normal physiology, how various metabolic systems work, and the inter-relationship of the nervous system, energy and structure. The teaching to others aspect is critical. Love Your Guts, LLC is a bodywork education company founded and directed by Marty Ryan, LMP. This company is dedicated to bringing the world of the abdomen and viscera into a whole new light. We utilize high impact learning strategies to integrate whole body systems physiology and visceral anatomy into a thoughtful and effective approach to belly massage. All seminars are presented with joy, laughter, gratitude, studiousness, clarity and most of all FUN! We invite everyone to truly Love Your Guts! Marty has taught belly massage and palpatory anatomy seminars across the US since 1998. Marty also served on the faculty of the Seattle Massage School and the Northwest Institute of Acupuncture and Oriental Medicine. 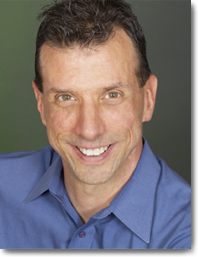 Marty currently directs the massage therapy department at the Tummy Temple in Seattle, WA, where he maintains his bodywork practice, mentors massage therapists, and outreaches to the community of health care providers in the Puget Sound area about the therapeutic benefits of abdominal bodywork. Marty has actively pursued his clinical treatment style through his full time practice over the last 14 years; and by taking as many abdominal, myofascial anatomy, clinical treatment and energy cultivation classes as he can squeeze into his busy life. His classroom teaching style is often regarded as an open and fun learning environment where everyone has the opportunity to participate, learn, and be heard. Get Course News E-mailed to You! Love Your Guts Seminars courses are NCBTMB credentialed through Advanced Educators, LLC, Approved Provider # 450826-08. Click here for more information.